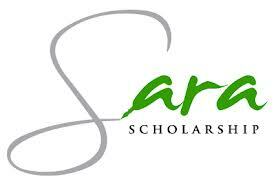 Sara Scholarship is available to female high school seniors who plan to attend college and are active in golf. The renewable scholarship is awarded to 12 deserving female students each year. Students must have excellent academic skills and demonstrate financial need. The scholarship may be applied toward tuition, room and board, books and other college-related expenses. Students must have a grade point average of 3.1 or above. High school seniors may apply. Applicants do not have to be skilled golfers but must have have a strong interest in any capacity of the sport of golf. The scholarship is funded by the Henry & Sara Sheehan Foundation. It was named in honor of their daughter, Sara, who was an educated business woman, an avid golfer and an animal lover who graduated from college in Lake Forest, Illinois. Sara's parents wanted to help other females who, like Sara, believe that golf teaches important qualities such as patience and discipline. The objective of the scholarship is to help other female students of good character attend college. The deadline for this scholarship is usually in MAY of each year, and the award amount is usually $12,000.